It is not a secret that much of what we are can be attributed to genetics. I got my eyes and nose from mom, the shape of my face and lips from dad, etc. But the expression of our genes can be modified by our lifestyles. This means our exposure to pollution, stress, and fatigue can modify gene function, which explains the common study among identical twins: one twin smokes, the other doesn’t, and you can clearly see the difference in their wrinkles over time. And if you have noticed, this is becoming the approach of a lot of skincare products—that is, to fight these environmental aggressors. This is what the newly launched L’Occitane Immortelle Reset Serum is trying to address. It helps your skin recover overnight from environmental factors, such as stress, pollution, diet, and fatigue, which can make the skin look dull and dry. The idea is to reset your skin overnight and let it have a fresh start by getting rid of negative aggressors that have weighed down the skin. 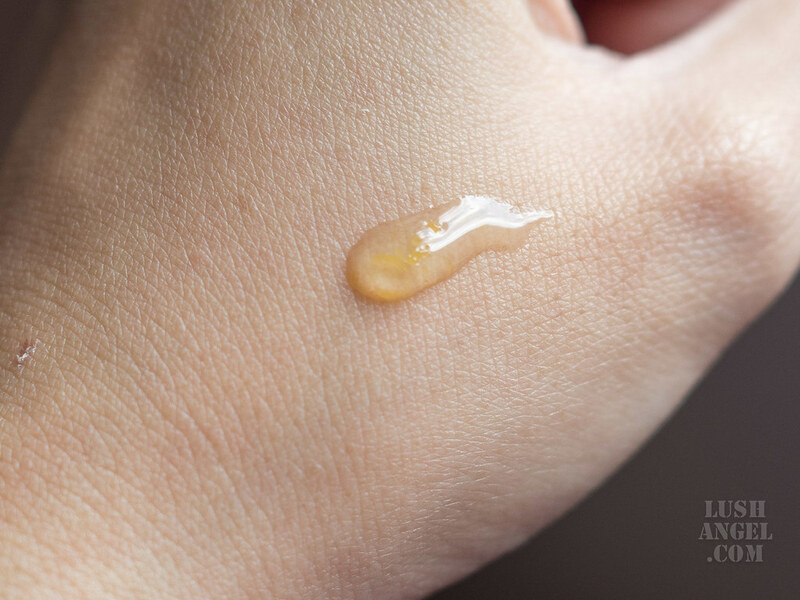 Stimulating skin with creams and serums is less effective if your skin isn’t receptive. This is where Immortelle Reset comes in. It works with the skin to PREPARE it to welcome all the benefits of all other skin care products you’re going to use. Result? Wake up every morning with glowing skin. You’ll see the difference after just one night and a global visible transformation after one month later. How L’Occitane Immortelle Reset Serum works? There are three active ingredients in two textures that help reset the skin overnight. You’ll see thousands of golden bubbles inside the bottle of L’Occitane Immortelle Reset Serum—3,300 bubbles per 30ml, to be exact. Inside these bubbles is the Immortelle essential oil that help fight the effects of time. These bubbles are floating in serum infused with marjoram (wakes up skin overnight) and Acmella oleacera (reduces muscle tension and soften facial wrinkles, giving a botox-like effect) extracts. 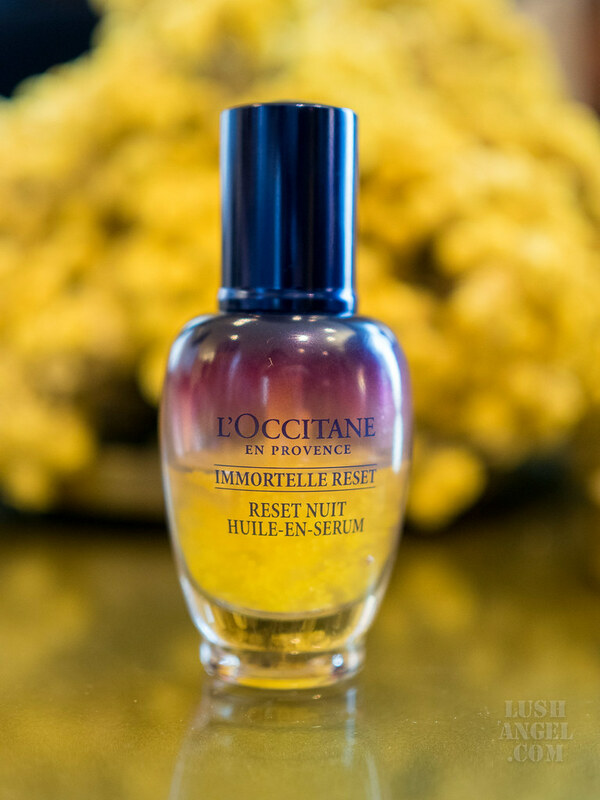 As mentioned earlier, L’Occitane Immortelle Reset Serum prepares the skin to be receptive to all other skin care products you’re going to use. Start with a clean face—wash and tone. Then, massage L’Occitane Immortelle Reset Serum on your face and neck. Finally, layer your serums and moisturizers. First of all, let me talk about the packaging. The golden spheres floating in a bath of serum and peeking out behind the frosted glass look amazing! I initially thought it’s a bottle design until it was explained to me during the launch that those golden bubbles actually hold one of L’Occitane’s anti-aging secrets, the Immortelle essential oil. The bottle has some weight to it, which can be a downside if you’re bringing it for travel, but I can attest how durable it is. I once accidentally dropped it on the floor and I’m so glad it didn’t break. L’Occitane Immortelle Reset Serum has a nice relaxing fragrance — so note to those who are sensitive to scent. I was surprised the first time I tried it because I was fast asleep. And ever since I included it in my nighttime regimen, I’ve been having good sleep. I really attribute it to the relaxing scent of the serum. My worry though is I’ll get used to the fragrance and the sleep effect won’t work eventually. Now for the serum, I like how the serum is quickly absorbed by my skin. The texture is like water gel. 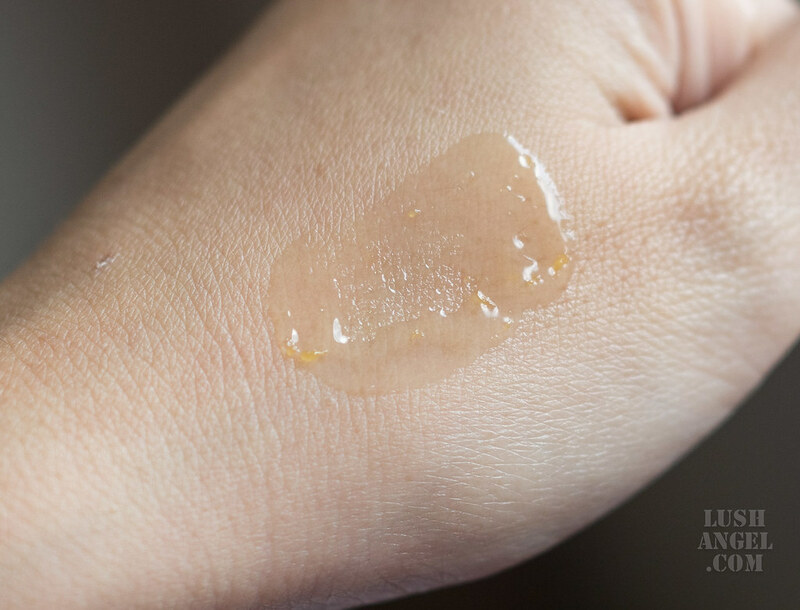 Once applied, there is a slight sticky feel at first but it’s not heavy at all. The first time I tried it, I woke up with brighter and more radiant skin. I didn’t experience any allergic reactions, irritations or breakouts. I also loved how my skin felt and looked after seven days. It feels smoother and softer—this is also probably because I get more benefits from the serums and moisturizers I use every night. Based on studies, it takes 28 nights to fully see the results. L’Occitane Immortelle Reset Serum will definitely be part of my nighttime regimen. It’s also perfect for those who are looking for skin care products that are made of natural ingredients. This is how it looks when slightly blended. Here you’ll see the water-gel texture and the golden bubbles. L’Occitane Immortelle Reset Serum is now available in Rustan’s Beauty Source for PHP 3,300.